Parkhill Primary school is located in Ashwood, approximately 15km east of Melbourne. It is bounded by Parkhill Drive and Cassinia Avenue and is one of the feeder schools for Ashwood College located nearby. The project will occur in two stages and is targeting a November start on site. This first stage includes removal of a series of existing relocatable buildings with the construction of two new learning communities. Each learning community consists of 5 to 6 classrooms branching off a central collaborative spine. The classrooms have the flexibility to vary the degree of openness and engagement with the collaborative space depending on the program being run. Each community also has access a wet area project space and additional withdrawal spaces which can focus on more targeted learning or a place for students to have quite time. The development also includes a new art room and upgrades to the existing toilets in the administration and multipurpose hall. 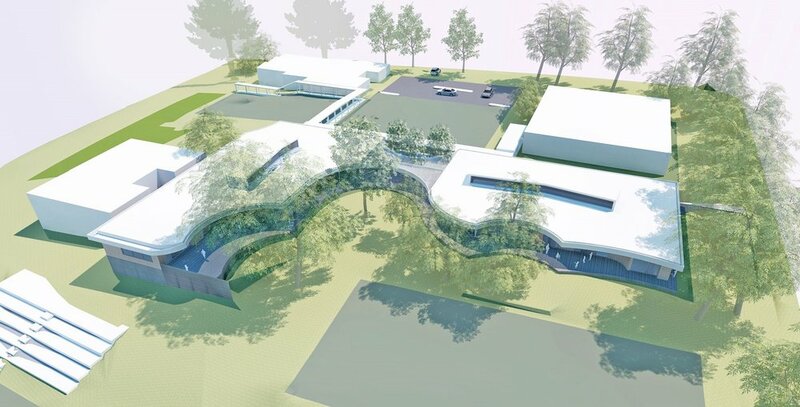 The new development aims to marry the formal front of the school “the town square” with the natural landscape “the garden” to the rear of the school by creating a transitional zone or meeting point through the development of the learning communities and the surrounding landscaping.